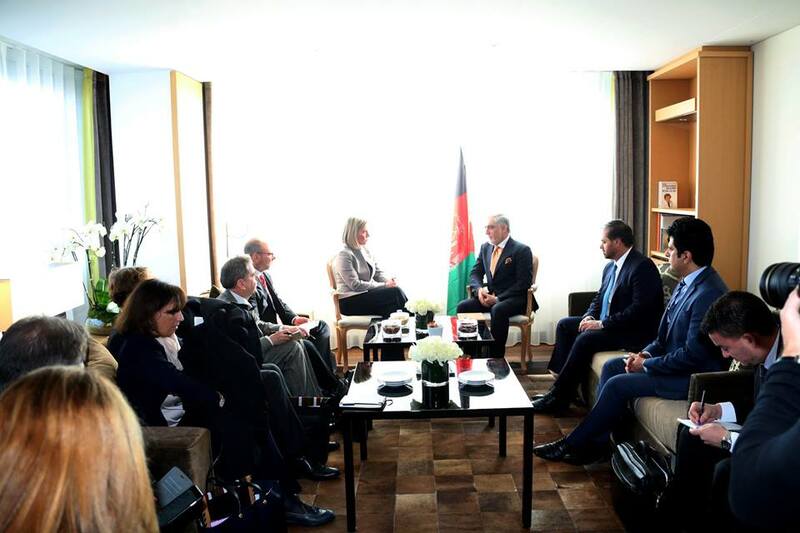 Dr. Abdullah Abdullah, Chief Executive of the Islamic Republic of Afghanistan met with Ms. Federica Mogherini, High Representative of the EU for Foreign Affairs and Security Policy at his residence in Geneva. During the meeting, the Chief Executive thanked Ms. Mogherini for her attendance at the conference and appreciated EU’s support and assistance to Afghanistan. The Chief Executive also thanked Ms. Mogherini for her statement and announcement of support for Afghan-led and Afghan-owned peace process. 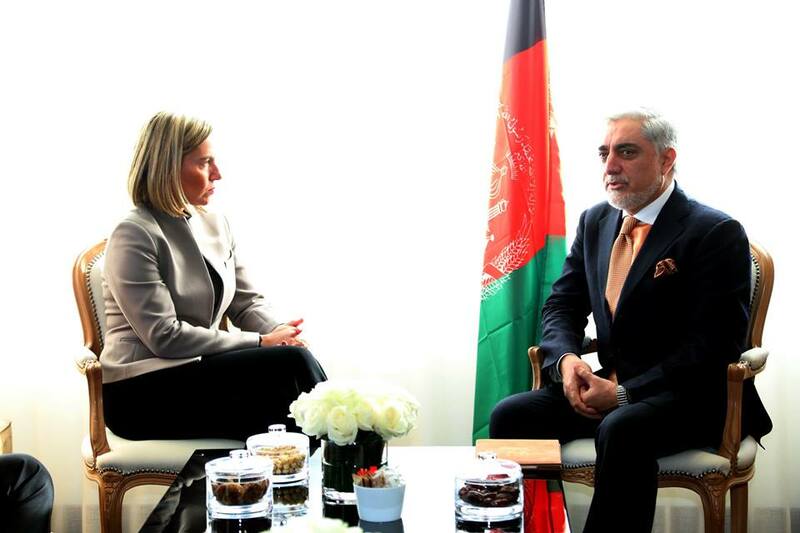 Ms. Mogherini once again reiterated that EU would support Afghanistan and expressed hope that the Geneva Conference could help Afghanistan achieve development, peace and stability. At the meeting, the two sides discussed elections, political-security developments as well as Afghanistan’s regional relations.